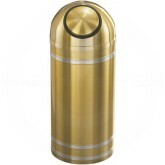 Glaro's "Capri" WasteMaster Collection out-shines them all. 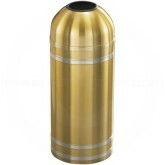 Its extraordinary appearance makes it hard to comprehend that it is associated with trash. 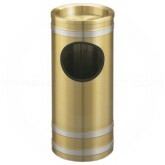 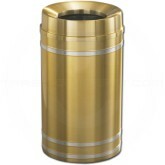 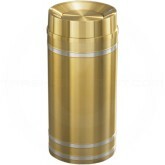 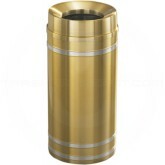 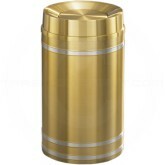 Inspired by Glaro's senior designer, this collection features stunning satin brass decorative bands rimmed into a lush, satin aluminum receptacle or glimmering, satin aluminum decorative bands sent into a sleek, satin brass receptacle. 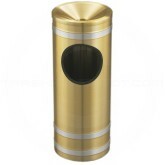 These products attract attention so that they get used. 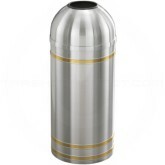 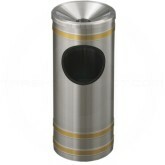 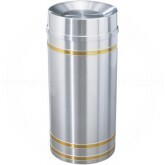 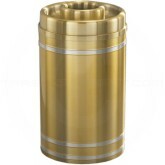 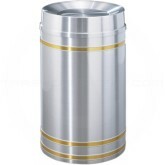 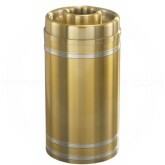 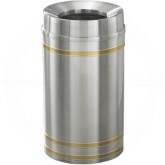 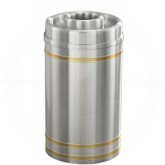 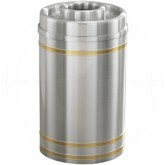 Elegant and durable, these receptacles show that you have a good eye for detail and that you care about every aspect of your establishment.